The 9mm Luger usually just called the 9mm is the most popular handgun cartridge to date. The 9mm is considered the most common step up from the smaller .380 ACP round that is the most popular conceal cartridge. The 9mm is a cartridge that provides a great balance of size and power, and with the improvements in powder and bullet technology. I've heard a Glock representative speaking with local detectives stating that the 9mm is now as powerful as the .40 S&W, now I'm not sure I believe that but it stands to reason that with proper hollow-point expansions, better powder and bullet design that the 9mm could have similar terminal ballistic qualities to that of an old school 40. The 9mm size may be it's best asset as it allows for a much higher mag capacity than it's larger 40 or 45 acp counterparts. Let's compare the capacity of the standard size Glocks for each caliber and you will see what we are speaking of. The GLOCK 21 is the standard size 45 A.C.P., and it holds 13+1 rounds. The Glock 22 is the standard size 40, and it holds 15+1 rounds. The Glock 17 is the standard size 9mm, and it holds a whopping 19+1 rounds. So the 9mm gives you 6 more rounds than the .45, and 4 more rounds than the .40. *Casing image above is an artist rendering and not a real photo of 9mm Luger (9mm Parabellum) (9x19mm) Ballistics cartridge. 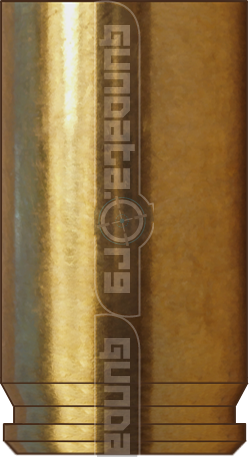 While we have went to great lengths to make sure that it's as accurate as possible this rendering should not be used to generate specs for casings.